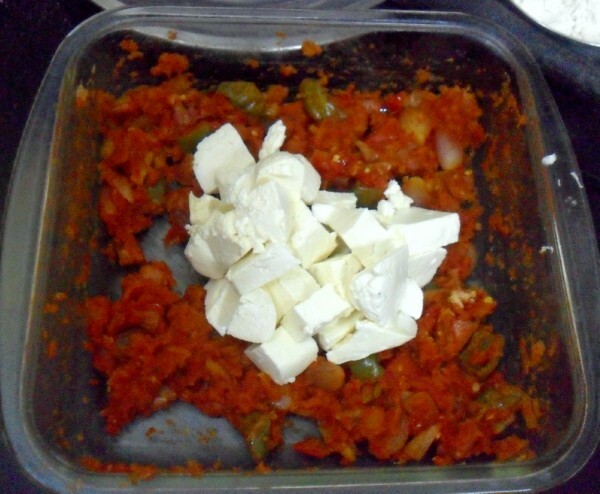 When I decided to make the Paneer Jalfrezi in Microwave, I wanted to make something easy for the dinner. So I decided that making a roll or a wrap would be the easiest one. Since I was making the Paneer Jalfrezi in microwave, I made it quite dry and so it was perfect for using as stuffing. 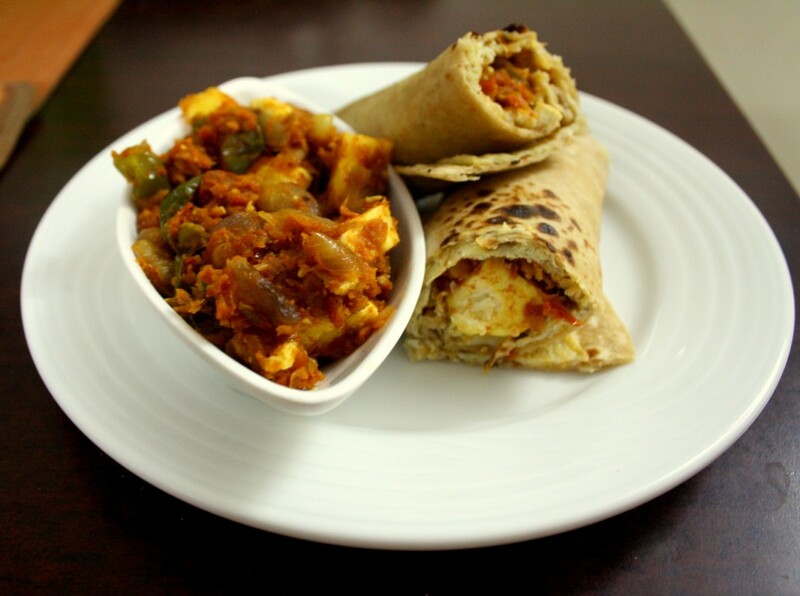 The recent Kati roll experience got me hooked to kati roll. 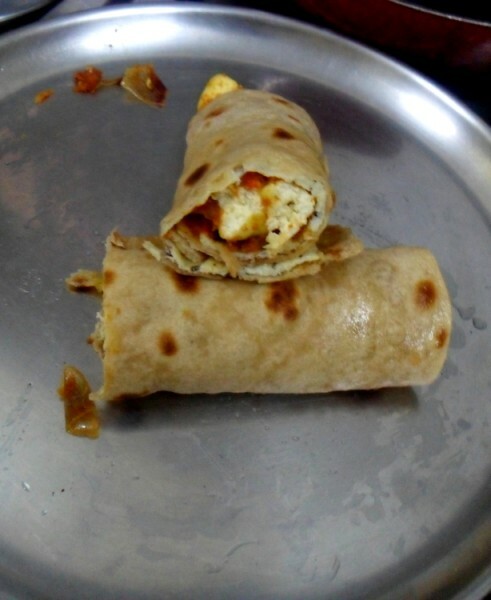 Of course I had mine minus the egg, and wanted to make it as how it actually made with atta, unlike the maida ones that was served in the Kati Roll shop. 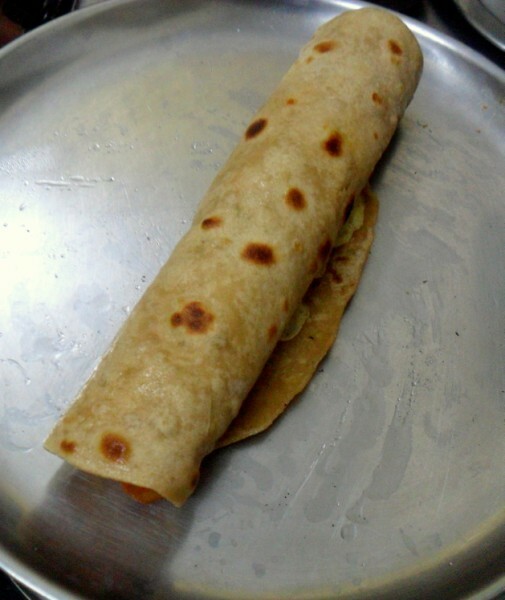 Kati roll is one of those famous Calcutta street food, where a paratha is stuffed with egg and a variety of other stuffing. I have only read about it and seen it. Never having tasted, I trusted my folks to tell me how it tasted. Konda told me that it was very delicious. But of course anything I make, I can trust my daughter to love it. So I was basically looking to hubby dear to approve it. And he did. Proceed to make Paneer Jalfrezi and keep it aside. 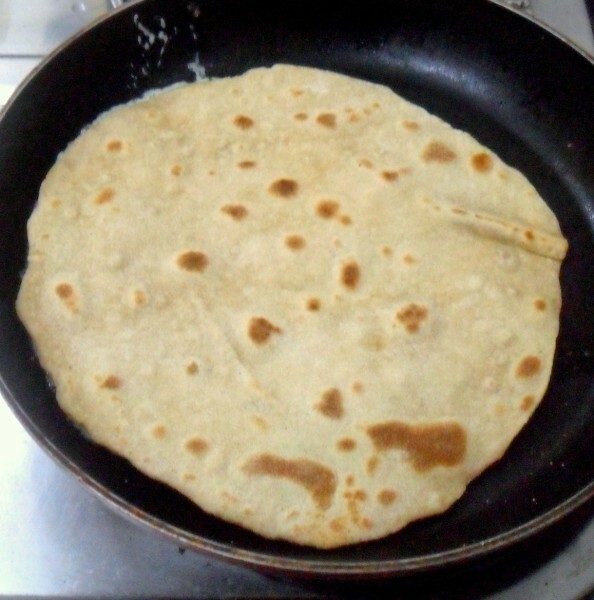 In a tawa, cook the paratha on both sides and in another one, make an Omelette. 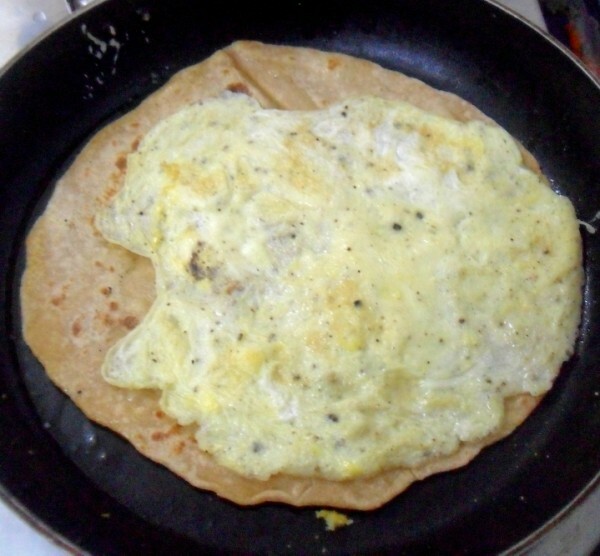 Place the paratha on the top, so that the omelette gets struck to the paratha. 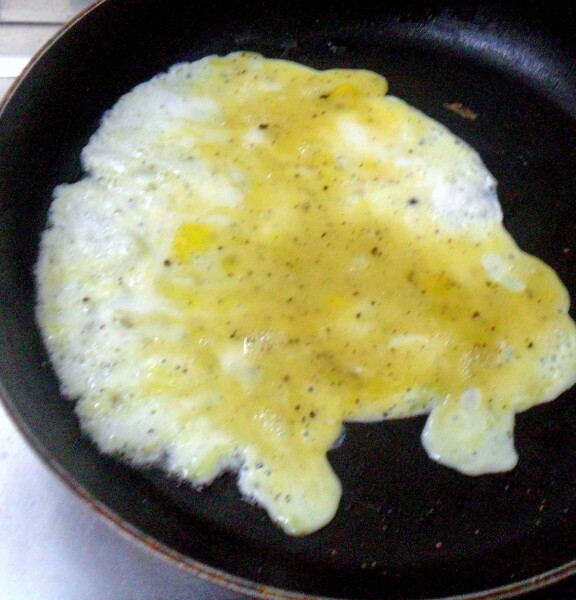 Turn over and cook with the egg face up. Remove and serve the stuffing in the center and roll it tight. 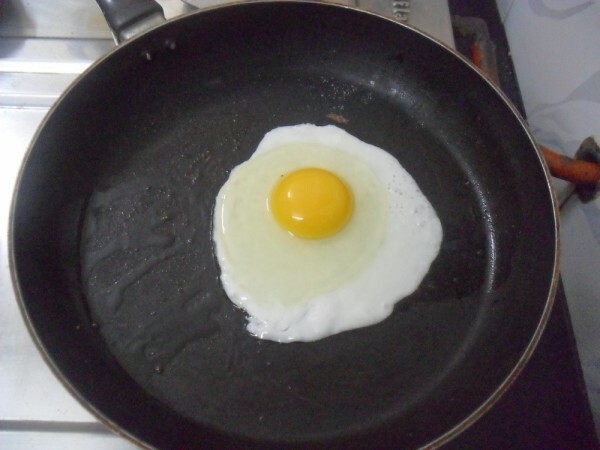 Do check out what Vaishali and Champa have done during their Weekend Cooking. Wow nice valli yummy panner rolls pa. 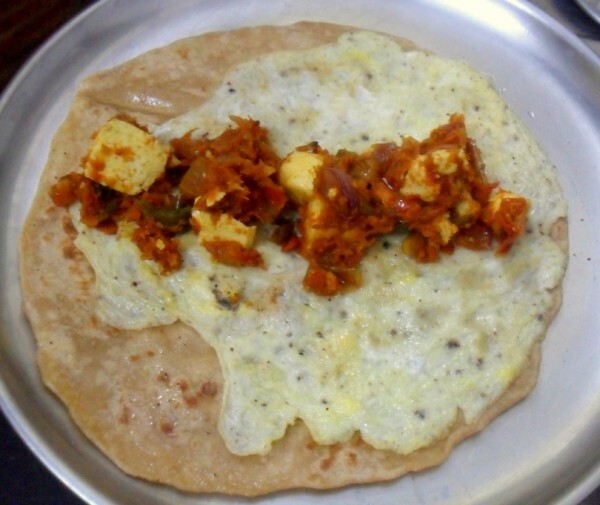 I have made this with chicken and loved it, love the idea if using paneer too as shyama loves paneer. 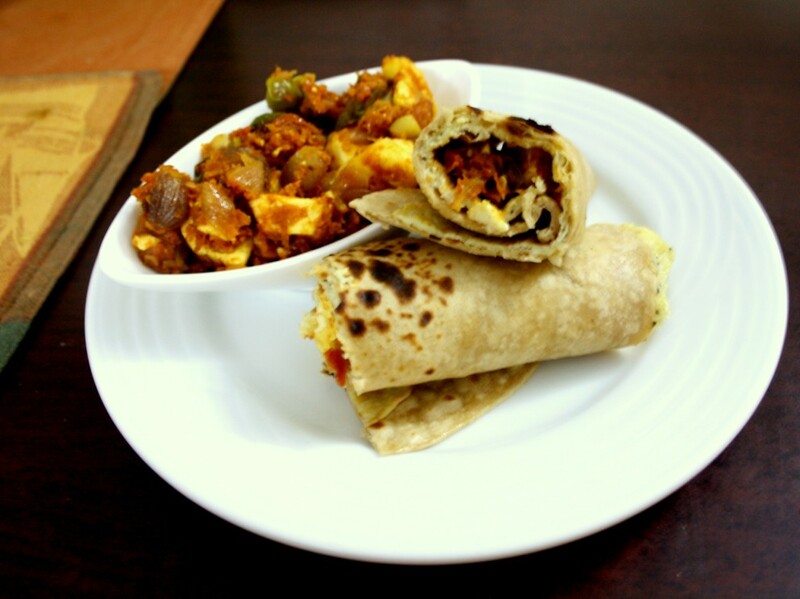 Makes me drool, love to have those tempting kathi rolls. Now, I am confused and hoping you can help — I've been away for some time. The blogging marathon is hosted by you on a different blog?